Jemeppe Castle originated as a fortified house built here in the early 13th century which was later replaced by Jean d'Ochain with a donjon protected by moats. 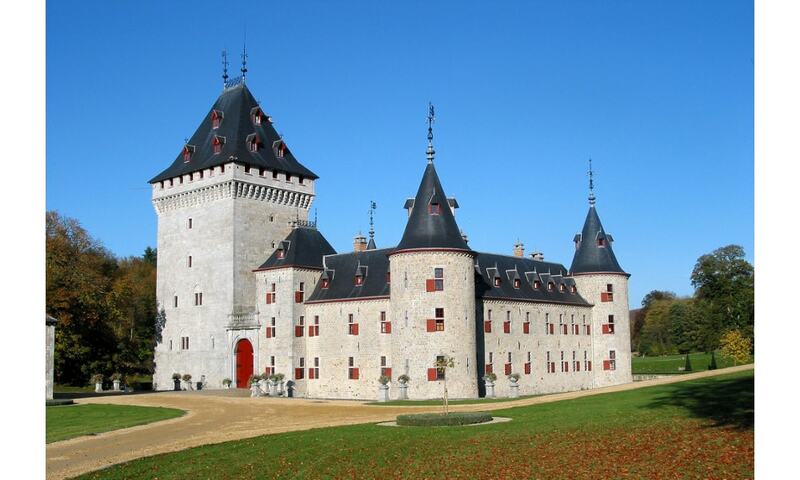 At the beginning of the 17th century, Raes d'Ans, lord of Velroux, acquired the property and extended the fortified tower with living quarters into a square castle building. He also added two wings and a double moat. The wings were modernized in 1739 and 1748, and more windows were added. Restoration work was also carried out at the beginning of the 19th century, including on the gallery and the gatehouse next to the donjon.